Buying an Erendel Egyptian Mau.. Welcome to our cattery and the homepage! My name is Lovisa, I live in Stockholm in Sweden and I breed Egyptian Maus since 2006 - the first Egyptian Mau cattery in Sweden! The cattery is based in our home where the cats grow up and live as family members. Erendel, or Earendel, means radiance or morning star. Sometimes the name is also referred to as "luminous wanderer", in origin probably the name of a star or planet - the morning star. The name is found in different forms in Old English, Old Norse and Medieval Latin among others. Mau in ancient Egypt means sun but also cat. 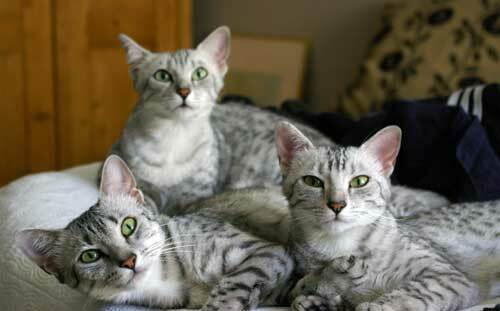 Egyptian Mau - could one imagine something more breathtaking or dazzling? Well, I couldn't, so I went to the US to bring back my first Mau - Emau's Three Wishes of Erendel. She finally came to us in Sweden in November 2006. I was looking for something special, a cat with a those qualities that are necessary to become the foundation queen of not only my breeding program, but also the Swedish Mau population. I now have got the privilege to be owned by an Egyptian Mau from Emau Cattery, a breeder that according to my standards, has produced some of the absolutely most beautiful and representative cats of the breed. Erendel is a small cattery, working with lines primarily from the US and England. We are working to preserve and to responsibly bring the best out of this rare and wonderful breed, by breeding for temperament, appearance and good health. 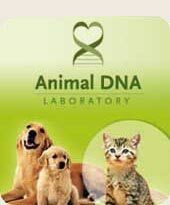 We use Animal DNA Laboratory for our DNA analyses.